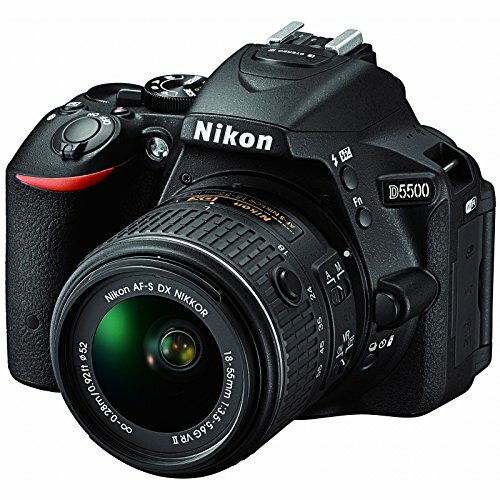 The Nikon D5500 good image quality and performance as an entry-level DSLR camera. With the Nikon D5500 DSLR, Nikon aims to repeat the success of the earlier D5300. Nikon’s mid-level DSLR line gets a substantial upgrade in the form of the D5500. It is now the smallest and lightest DSLR yet made by Nikon. But don’t let the smallness fool you, this little gem gives some stellar performance. Nikon D5500 comes with APS-C sized, DX-format image sensor outputting 24.2 megapixels. This new design entry level DSLR offers an entire sensitivity range of ISO 100 to 25,600 equivalents. Unlike its predecessor, the D5500 no longer comes with a built-in GPS receiver. In case you want to geotag your images, you’ll need to do so manually. Or you can rely on an external device to record a location tracking that can be imported later. Nikon has also added a touch-screen to the Nikon D5500’s 3.2-inch LCD monitor. It allows it to serve as an input device. Therefore, it provides consumer-friendly features as a touch shutter and pinches zoom. 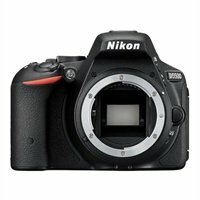 Just as with Wi-Fi on the earlier model, this is a first for a Nikon entry-level DSLR. All courtesy of electronic improvements made on this best beginner DSLR. Nikon D5500 comes with a new proximity sensor that disables the LCD monitor when you raise the camera to your eye. Almost 37% is its extended battery life. Nikon D5500 comes in a brand-new body that’s smaller. It measures 4.9″ x 3.8″ x 2.8″ inches and is even lighter weighing 14.9 oz. The 24.2-megapixel Nikon D5500’s body has a carbon-fiber monocoque structure. This entry-level DSLR is slimmer with a deeper grip. The best beginner DSLR sports a new body and comes with improvements to its control. It has a relocated Info button and a simplified Mode dial. It does away with the numerous fixed scene mode positions of the earlier camera models. 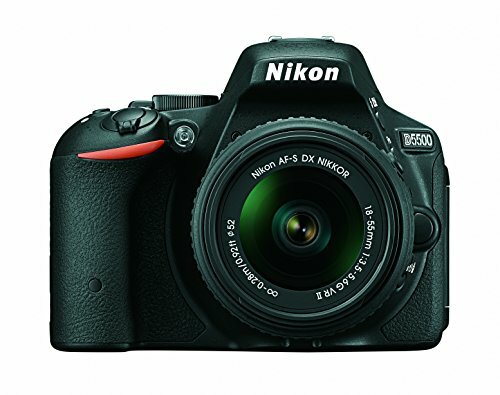 Retained from the D5300, is Nikon’s 39-point phase detection autofocus system. It features nine cross-type points. The entry-level DSLR sports a 2,016-pixel metering system. It is paired with Nikon’s exclusive Scene Recognition System algorithms. The camera retains the same versatile side-mounted and tiltable LCD articulation mechanism. Nikon D5500 has in-camera Wi-Fi support. Its burst capture rate goes up to five frames per second. This is achieved because of Nikon D5500’s EXPEED 4 image processor. The entry-level model sports a Flat picture control. This is good for both movie and still capture. It is more conducive to color grading post-capture. The D5500 is a compact, lightweight, and very competent DSLR. Its image quality and continuous AF is impressive, feature set is broad, and performance is strong. It's not great for continuous Raw shooting and the lack of a second control dial may put off some enthusiasts, but overall the D5500 is well worth considering.